We are learning how to perform a hard reset and thus achieve to unlock Android -if you forgot your unlock pattern password- on your Sony Xperia Ray. For this tutorial, we will use two methods easy to follow for our readers. ut before that, we need to make a backup copy of all data on your device and to do it we can use one of the (free) tools that can be found on Sony’s website. The first method that we will use to unlock Android on our Sony Xperia Ray is based on the probably absence of access to the device, either by a damaged operating system or because we forgot the unlock pattern code or so. In this case we will use the program that gives Sony to update or restore the phone to the original factory settings. Go to Support Zone > Software update phone / tablet, if your device is already updated you will see a link to “Repair your phone / tablet ‘, select that option and go to the next screen, and we only have to follow the instructions on the screen (press several times the “Next”) and wait for the computer to perform the process. With these few steps will have a Sony Xperia Ray ready as to the first use, with the factory settings. 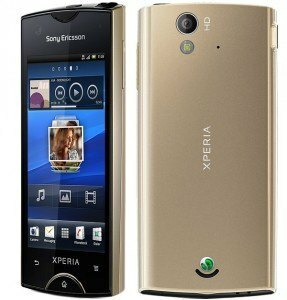 The second method to unlock Android on our Sony Xperia Ray will allow us to restore the phone through the device menu itself. This is used when the phone already runs very slow or has many applications and we want to return to their Original factory reset. For this method we need only to go to Settings> Privacy (or backup and restore Android 4.1)> Factory data reset> Reset phone> Erase everything. We wait the process to be successful and we will see a welcome screen when the phone is restarted. With these simple steps we were able to reset our Android Sony Xperia Ray quickly and easily, if you need to unlock Android on anyother similar device in particular, leave your request in the comment section and we will gladly review it and create a specialized item.